Haythornthwaite’s Winemaker is Chris Buring, who started as a cellar hand in the Leo Buring winery in South Australia in 1964. Chris is the grand nephew of Leo Buring an Australian iconic winemaker. Chris graduated from the University of California at Davis in 1974, and started working for Lindeman as Assistant Winemaker, progressing to Production Manager in 1983. In 1989 Chris came to work at Te Kairanga in Martinborough, as a director and winemaker until 1997 and then as senior winemaker from 1998 to 2001 at Murdoch James. Since 2002, Chris has been contract winemaker to a number of boutique Martinborough vineyards. Haythornthwaite Wines is one of Chris' client vineyards, where he has made wines since 2008. 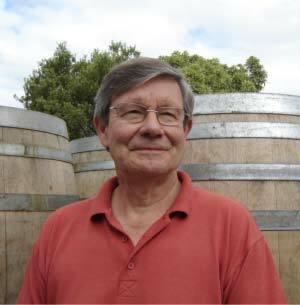 Chris will celebrate his 50th vintage in 2013 – an achievement few winemakers achieve.